The Break-Up: Sur La Table - It's Over. Cooking in Stilettos has moved - specifically to http://www.cookinginstilettos.org. New look, new style and new attitude... Won't you come visit for a bit? 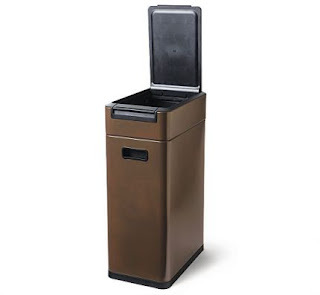 For now, I guess I'll just have to settle for this OXO Trashcan in Oiled Bronze. In November, I fell in love - with short ribs - specifically, the Bourbon Blue's Braised Short Ribs. However, I couldn't necessarily stalk pester their chef for the recipe so this gal had to improvise. And by improvise, I mean review every little recipe I could get my hands on that might be *the one*. Well, my friends, I think I found one that is striking similar and, even better, I was able to finally use that lovely crock pot that only sees the counter every few months when I have to make those fabulous meatballs for a soiree. Spread the flour out on a rimmed baking sheet. Dredge the ribs in the flour, shaking off the excess. In a Dutch oven over medium-high heat, warm the 3 Tbs. olive oil until nearly smoking. Working in batches, brown the ribs on all sides, about 10 minutes total. Add more oil to the Dutch oven if needed. Reduce the heat to medium, add the onions, carrots and garlic and cook, stirring occasionally, until soft, about 10 minutes. Add the wine to the Dutch oven and cook, stirring to scrape up the browned bits. Add the tomato paste, thyme, rosemary and bay leaf, mashing any large chunks of tomato paste with a spoon. Increase the heat to medium-high and cook until thickened and reduced by half, 8 to 10 minutes. Add the wine mixture to the slow cooker along with enough stock to come halfway up the sides of the ribs. Cover and cook on high for 6 hours according to the manufacturer’s instructions, stirring occasionally. Skim the fat off the sauce. Discard the herb sprigs and bay leaf. Transfer the ribs, carrots and sauce to shallow bowls or plates and serve immediately. 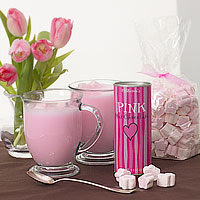 Here's a new product alert - Stonewall Kitchen has just added PINK HOT CHOCOLATE to their fab collection of products. Not only do you get the frothy hot chocolate but also marshmallows and the mugs to go with. Now that's something to surprise your sweetie this Valentines day or whenever you want to brighten your day with a bit of pink. In my quest on eating healthier this year, I made a commitment to actually USE the produce I buy. I am guilty of shopping for groceries sans list, going "ohhh - let me try this" and "Ooohhh, that looks great" and my bags are loaded with produce due to my impulse shopping (and you thought I was bad with shoes - not!). During the week, lately I have been so drained from the 9to9 that when I get home my fingers start dialing for takeout. Not to mention, I really don't have much time to spend at Publix or Fresh Market these days - it's that crazy. Well, I found out about this great service called Orlando Organics where they deliver a plethora of organic goodies to you and you get to set the schedule for weekly or bi-weekly, all very reasonably priced. In addition to my normal order, I decided to add some extra fruit. The people there are so great, very personable and actually pay attention to what you may not like and try to help you out with your delivery. All in all, I'm thrilled so far. And, now that I have my Lotus system, I'm excited. So, with that, let's see what I got, shall we? The cooler was crazy full with a plethora of organic goodies. I felt like a kid on Christmas going "Iron Chef - Ingredient - I dunno!" If anything it spurred the creativity in me and I have some interesting things on the agenda this week. I have to admit that when I go through my cooking spurts, fresh herbs are a must. However, at the current prices, I can easily spend $15 weekly just on stuff like Italian Parsley, Basil, Rosemary and so on. And, to boot, I have been putting off replanting the AeroGarden for some time. I bought the AeroGarden a couple years ago and haven't used it as often as I should. It's beyond simple to use - just add the nutrients when they tell you to and the AeroGarden does all the heavy lifting. I finally bit the bullet and planted a round of the Gourmet Herbs: Italian Parsley, Chives, Thyme, Italian Basil, Dill, Mint and Purple Basil. I figure that if I'm really going to start finding ways to save some money, I might as well spend the $$ for a seed kit that will give me 6 mo. worth of herbs and keep my herb buying to a minimum. So, here's the pic of a freshly planted garden - week 1. What will Week 2, 3 and 4 bring I wonder. With our country heading into a new administration, one can’t stick their head in the sand and think that finances are not in the spotlight. Going hand in hand with that effort is the Green movement. I’m learning that sometimes it’s just the best thing to stay home and chill, relaxing with friends and family while shopping in your pantry. Obviously, a well stocked pantry is KEY to any perfect meal. The Kitchn spotlighted an article from the New York Times where Mark Bittman gave his suggestions about what is needed in a pantry. Sure, it’s a bit of an investment at first but when you think about it, once it’s stocked, you have less of a headache. The Casual Kitchen pointed out 41 Ways You Can Help Out The Environment… Plus, an added benefit that is not only are you helping the environment, but you save some cash too. My mom taught me an appreciation of French Onion soup when I was younger. As I got older, I always thought that French Onion soup was daunting and who am I to attempt and resigned to only order it when I was out for dinner. That was until I was watching Everyday Italian and Giada de Laurentiis made her Onion Soup with Thyme and Fontina. It was like the beloved French Onion but kicked up Italian style. And, it wasn't as complicated as my mind tended to think. Even I could do this! This soup is in my arsenal. It's super easy to make, always garners compliments galore and is comfort food that is perfect for these cold winter months. Attend the South Beach Food & Wine Festival. Granted, every year I hear about it and every year I whine about how I should have gone. Well, considering that I live in Florida, I bit the bullet last night and I bought a ticket for a day to at least check it out. Yes, it's pricey but to see some of my fave chefs cook i.e. Michael Symon, Sunny Anderson, Ingrid Hoffman, Tyler Florence, Cat Cora, etc. Who knows, maybe next year I'll go for the whole event. Either way, a day at South Beach - YAY! Take a cooking class (or three) at a local cooking school here in Orlando. I found out about Truffles and Trifles through Chowhound and I'm intrigued to say the least. I know the Italian and Cajun ones are on my list. The Williams-Sonoma “demos” aren’t really “cooking classes” per se. While they are good, if I’m going to spend $40+ for a class, I’d rather it be hands on. I learn much better that way. Learn to make fresh pasta. This means I have to do my research on Pasta Machines, find some fab pasta recipes and, for the love of all things Italiano, learn to NOT hit the boxed penne if I fail miserably. Learn to make dog food for the pug. The cat is pretty well established with her fave food, treats and whatnot. The pug is a very finicky eater so I'll be researching more on this. Plus, I feel bad for the little guy who is getting sick all the time. Poor munchkin. Finally, a blog culinary goal - Move this blog over to WordPress. Blogger and I are *ahem* cool but I want to really work on making Cooking In Stilettos the best it could be. So, make sure to keep http://www.cookinginstilettos.org in your bookmarks. I’m hoping to get this transitioned by the end of February - maybe sooner. Don’t quote me, though. What’s on your culinary agenda for 2009? I rarely, RARELY, ever speak ill of what I regard as my cooking Mecca - that being Sur La Table. However, after what I went through last night, Sur La Table and I are breaking up. I've disclosed before that when I get their catalogs, I pore over it like it’s the latest issue of Vogue. I bought my Global knives there. I first fell in love with (and later took home) my Caribbean Le Creuset pieces via Sur La Table. Sur La Table has been my "online go to spots" for research here for Cooking in Stilettos. Not to mention, the price difference between here and Williams Sonoma is astronomical. Sadly, the nearest Sur La Table is 3 hours away. They haven't built one in Orlando yet (and, last I heard, it will be QUITE some time). And, when I travel, I always research where Sur La Table is and if I have time to go, often leaving room in the suitcase to store the goodies I find. The Sur La Table in New Jersey knows me well. I placed a substantial order on their site yesterday, namely being the Lotus Sanitizing System that I've talked about here before, a marble pastry board that I needed this weekend, a donut cutter that Diana @ The Chic Life recommended some great deals on baking sheets and the apron I've been lusting after. I would have added more but I thought "eeeh - I still have the remainder of the gift card that I need to use at WS. I'll perhaps use it on the Breville Cordless Blender I've been eyeing." The key factor to this drama is that I needed the pastry board for this weekend. See, the Marble Pastry board at Williams Sonoma is $129.00. I was hesitant to buy it but figured I had to. You can't find a good marble pastry board here in OTown at a decent price. At Sur La Table it was on sale for $32. That's a HUGE difference. So, knowing that, I figured I'd upgrade to overnight shipping and have it sent to the 9to5. It was an extra $25 but I felt it was worth it with what I would have spent at Williams Sonoma. I couldn't ship it to my house because we're having problems at our apartment complex with deliveries - namely UPS leaves the stuff on the truck, marks it delivered and we don't get it until 2 - 3 days after. We've complained and UPS gives everyone the same excuse, "We're sorry - it got mixed up with the Disney packages". I'd rather not have ANYTHING shipped there if I can avoid it. My gut instinct, however, kept bugging me last night and I called Sur La Table to check on the status of the order. I normally would get a tracking number by evening. Williams Sonoma does it. Barnes & Noble does it. Other retailers do it. It was now around 8 and I had received nada, nil, nothing. By chance, I encountered Charmaine in the call center. All started off okay until she told me "Well, it should be shipped tomorrow.” Wait a minute - overnight means OVERNIGHT! Then she tells me that their overnight is, technically, two days. Well considering that my shipping is about $50, we need to rectify that mess quickly - as in cancel. She told me she couldn't do ANYTHING and that I'd have to do it at 8:00 but there was the chance that the order could be filled and shipped by that time. To make the situation every worse, I found that the woman was rude, condescending and just pissed me the hell off. Yes, I flipped into cable cop mode whereby I told her to let me speak and then I'll let her speak. Do. Not. Interrupt. Me. She goes 'Well you interrupted me!' Wait another flippin' minute - I paused, recounted the conversation in my head, could not not recall one interruption, refused to put up with her attitude and shut. her. down. The next thing she heard was “Charmaine, I want to speak to your Supervisor - NOW". This morning, I had a quick break from the daily duties where I could give Sur La Table a quick call to make sure the order was cancelled. I wanted that money refunded stat. I resigned myself to the fact that instead of using that Williams Sonoma gift card for a portion of the Breville blender or the Emile Henry Pie Plate or other goodies I wanted, I HAD to spend it on that pastry board and then take a hit for an additional $100. Well, Sur La Table's rep, Jessica, answered the phone and I told her to cancel the order. She told me I'd receive it on Monday and I told her "No. Just cancel the order." She talked to her supervisor and again asked what she should do. Again, I had to tell her to CANCEL IT! She told me that if it had been placed at 1:00 EST it would have been sent but I placed it around 3:00 EST. OK - where does it say that on the website? It doesn't. While I admit that I am blond, I do tend to notice these things and, if I had seen it, I wouldn't have placed the order. Plain and simple and Sur La Table and I would have been fine. The continued lack of following a clear and explicit command was astounding. What part of CANCEL THE ORDER does Sur La Table not get? No part of explanation by a CSR on their part can override Charmaine's actions. That's the main issue. Long story short, due to Charmaine's actions, I just can't support Sur La Table anymore. So, it's my decision that until further notice, I'm not going to recommend them, feature their products here on Cooking in Stilettos, give them any link love on either of my sites and their catalogs will go unopened. The two new Sur La Table cookbooks I was planning to buy will not be purchased. I will buy only from other online retailers i.e. Fantes, Cooking.com, Chefs, Jacobs Kitchen, Dean & Deluca, etc. I will purchase that Lotus System through Chefs. 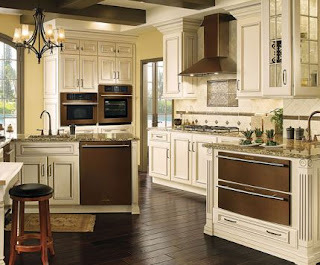 I will send customers locally to Le Gourmet Chef, the Premier Outlets, Crate & Barrel and Williams-Sonoma. What was Sur La Table's loss is now other culinary retailers' gain. Sur La Table not only lost a substantial sale, but a long time fan and customer. Quite simply, I am heartbroken because they truly were my favorite store. Tried and True: Rachael Ray's "You Won't Be Single For Long Vodka Pasta"
I know, I know - flog me now. I'm recommending a RR Recipe. However, I have to say, this vodka pasta is super simple, flavorful and just straight out rocks. Now, I know you are all going "Lys, you made it and you're single. The title says won't be single for long. What's up with that?" Quite simply, I have never used it on a special guy - just my friends and fam. However, if I did whip out this recipe for a certain someone, trust me, it would make him cry tears of contented happiness. This recipe is one that you can put in your arsenal and don't worry, I won't tell anyone that it's courtesy of Rachael Ray. It will be our little secret. Stir cream into sauce. When sauce returns to a bubble, remove it from heat. Drain pasta. Pass pasta with crusty bread.